It’s time to start putting together a list of the best resources I’ve written about and reviewed here on this blog, as well as other high quality sites, resources and tools to help you get started with your language learning. Everything I’ve listed here is material that I can vouch for or use personally. You’ll never find a recommendation on this site unless I’m 100% convinced it’s a high quality language resource. I’ll be gradually adding to this list over time and linking to it periodically. Full transparency: From time to time I use affiliate links for paid products on this site which means I get a small commission for referrals. It doesn’t affect the price of anything but doing so has helped me continue to maintain and improve this site over the last 5 years as a helpful resource for language learners. Interested in starting a language blog of your own? Click here for my advice on how to do it. First up, here are my main go-to resources when I begin learning another language. I frequently refer to them in many of the articles I write because I know they’re fantastic and they’ve been crucial to my own learning. If you don’t go any further down this page then I strongly suggest you make use of these resources if nothing else. italki: Not too long ago it was really difficult or impossible to practice foreign languages without traveling to the country where the language is spoken. 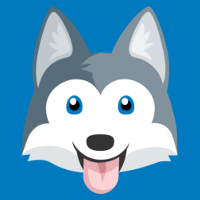 Thankfully, tools like italki have made it possible to connect with native speakers from all over the world to practice or to take personalized lessons over Skype (read my italki review). The great news is, lessons over Skype through italki are incredibly cheap compared to most teachers in person (many are as low as $6-8 an hour depending on what language you’re learning!). All the frustration of payments and scheduling is handled brilliantly by italki too which makes it very easy and stress free to arrange sessions. 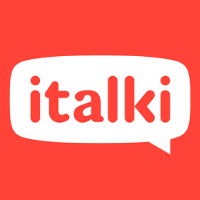 SPECIAL OFFER FROM ITALKI: If you head over and sign up for your first language lesson now, italki will give you a second lesson free! Rocket Languages: This is one of the most comprehensive online courses I’ve used with some of the highest quality natural dialogue material available. 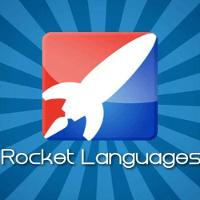 Rocket’s available in many languages (highly personalized to each one so definitely not a ‘cookie cutter’ approach) and it has a tonne of excellent audio content for all levels ranging from beginner to advanced. Arabic, Chinese, English, French, German, Hindi, Italian, Japanese, Korean, Portuguese, Russian, Sign Language and Spanish. Earworms Musical Brain Trainer: This is the most unique and effective phrasebook alternative I’ve ever seen and one I frequently recommend. Based on solid research into memory and ‘stuck song syndrome’, Earworms MBT teaches you languages over the top of highly repetitive tunes that cause the phrases to ‘get stuck’ in your head. It’s surprisingly effective and is so enjoyable that it doesn’t feel like study at all. 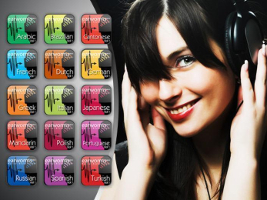 Available in: Arabic, Chinese (Mandarin and Cantonese), Dutch, French, German, Greek, Italian, Japanese, Polish, Portuguese (European and Brazilian), Spanish (European and Latin American), Russian and Turkish. 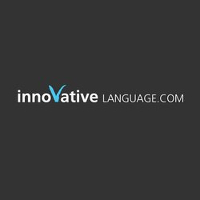 Innovative Language: This is a language course for loads of different languages available in the form of audio podcasts and downloadable lessons. It’s hit and miss depending on which language you’re learning – some of them are okay, others are excellent. You’ll find video lessons, a vocabulary database and dictionary, grammar explanations and various other features. Arabic, Chinese (Mandarin and Cantonese), Russian, Spanish, French, German, Korean, Japanese, Italian, Portuguese (Brazil), English, Dutch, Danish, Hebrew, Indonesian, Polish, Swedish, Bulgarian, Filipino, Hindi, Norwegian, Thai, Vietnamese, Czech, Finnish, Greek, Hungarian, Persian, Swahili, Turkish. 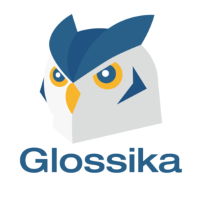 Glossika (Spaced Repetition Training): This is another very unique product that improves your fluency through a highly repetitive ‘listen and repeat’ approach. It is, in my opinion, one of the the most useful tools I’ve seen for training listening comprehension. Definitely not a conventional course but you’ll be amazed at how effective it is if you use it daily (I explained it in detail in my Glossika review where I also interviewed its founder). It’s available in many different languages too. 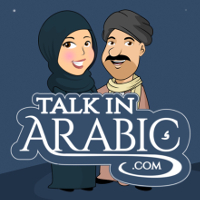 TalkInArabic.com: Our own multi-dialect audio and video resource for people learning to speak Arabic. It’s a one of a kind resource that’s updated weekly and includes HD video content, lesson modules and tonnes of audio material (all with written transcripts to read along to). Currently covers 8 varieties of Arabic: Egyptian, Levantine, Saudi, Iraqi, Sudanese, Tunisian, Algerian and Moroccan. Language Learning Foundations: This is a comprehensive video course put together by my good friend Olly Richards that walks you through the language learning process step by step. If you want to learn a language and you’re not sure where to start or how, this will help you immensely. Fluent In 3 Months Premium: Benny Lewis, author of Fluent in 3 Months, shows you how to begin conversing in any foreign language. Very detailed and comprehensive course structure with a practical, speaking focus. Memrise: This is an outstanding online vocabulary training tool. It’s a competitive and rather addictive memory game that lets you select language ‘courses’ to study (or create one yourself). Many of the courses also include audio. AnkiSRS: A highly versatile flashcard app. Learning With Texts: A completely free (though quite a bit technical to install and set up) assisted reader. You insert texts and audio in the language you’re learning, link it to an online translator like Google Translate and it will help you learn new words that you come across. See my guide to install it here. LingQ: Like Learning With Texts but everything is already set up and there’s tonnes of reading material already there for you to read (not free though). ReadLang: Another assisted reader alternative. Also a paid product. Forvo: I love Forvo. Basically if there’s ever a word or expression that you’ve seen written but don’t know how to pronounce, you can search for it here (or request it) and hear a native speaker pronounce it for you. italki: The best site for connecting with native speakers and teachers around the world. 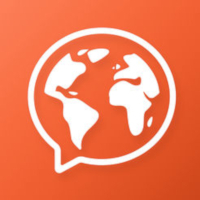 HelloTalk: A fantastic mobile app for iOS and Android similar to WhatsApp/Viber/KakaoTalk which allows you to connect and chat with native speakers. FluentU: This is an excellent site for learning languages using subtitled video. Available in Chinese, Spanish, French, English, Italian, German and Japanese. Yabla: This is another excellent site for using video where you can control the speed of playback and select words from the subtitles for definitions. Available in: Spanish, French, Italian, Chinese, German and English. RhinoSpike: An incredibly useful, free site for having native speakers read or pronounce text for you. Earworms MBT: A research-based method for learning languages using ‘catchy’ music. Price is only a few dollars and it’s much better and more effective alternative to any phrasebook. Mondly: Mondly is a beautifully designed learning platform (also available as a mobile app) in 33 different languages. It also teaches conversation in a Rosetta Stone-style way. Duolingo: Duolingo is a fun, free and effective way to study grammar. It’s now available in lots of different languages and there are more currently in development. 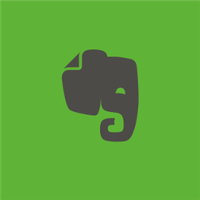 Evernote: This is an incredibly useful and versatile app for note-taking and archiving. I use it to collect and organize my language learning resources and it’s amazing for saving language content you find online for easy access across all your devices (see my how-to video here). Trello: Trello’s a very simple but powerful task and project organizer that you can use for just about anything. My own productivity for both work and learning has increased exponentially since I started using Trello to keep track of everything I have to do. The concept’s simple: put all your to-do’s in one column and drag them to other columns when they’re being done, are done or need changes.